I've been away for a week so I thought I'd give ya something extra special today! 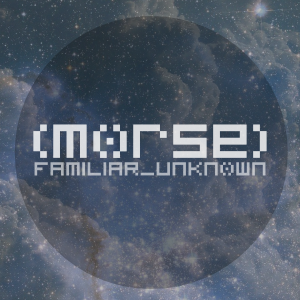 It's the first look at (morse)'s final album artwork. In case ya don't know - (morse) is this "music" thing I do. So...yeah! Back to regular posting next weeeeeeeeeeeeeeeek!! !